Our epic teams of Caution vs Danger face off for the first annual soccer game. Somehow I always end up on team Caution--we did that yellow tape proud! 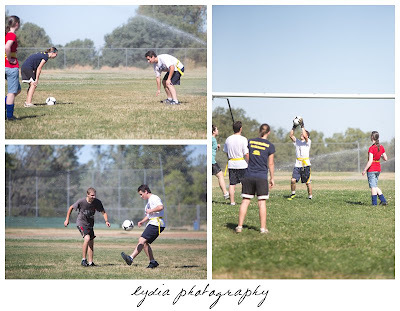 Part way into the game the sprinklers came on and proceeded to make their way across the field ending with the last set starting as we attempted to get a group picture! 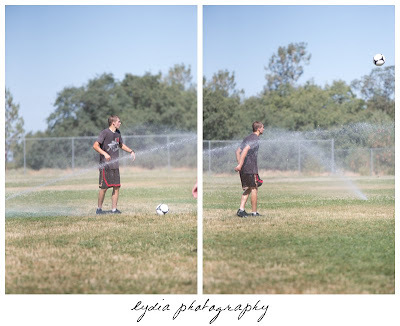 Sometimes that sprinkler would sneak up on you! 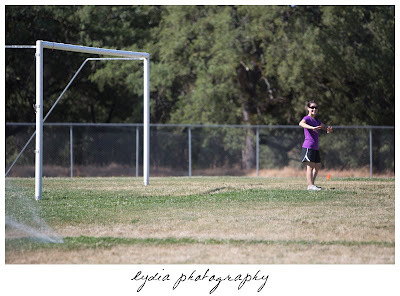 Julia, the goalie, posing for the camera. 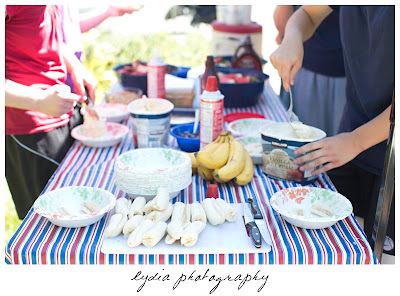 Everyone made their way to a home for banana splits, badminton, and all around relaxing in the shade. After winning dutch blitz, we headed home where I ended up crashing on the couch for a nap! A trip down the hill to Lincoln, and we met up with everyone for dinner. It was so fun seeing old friends and winning a game of ultimate frisbee despite being down a guy. As the sunlight faded away, the police herded us back behind the cones. 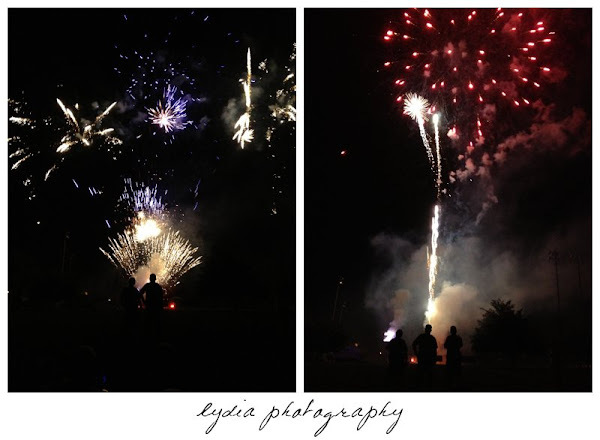 It was then we witnessed the most incredible fireworks show ever! Everything was right in front of and over our seats! So incredibly thankful for our freedom in America and even more, our freedom in Christ! Amen to that last bit! Our hope and joy should not be in nations and governments but in Christ, the living God! God bless your week, Lydia!